Hanley used the following device as its arms although it never received a grant to use them - of the six towns only Burslem (as the 'Mother' town) had official authority to use arms. In 1857 the townships of Hanley and Shelton, forming a portion of the parish of Stoke-upon-Trent were incorporated to constitute the municipal borough of Hanley. In December of that year a design for a corporate seal was produced by a Mr Robinson of Leamington. Hanley has no town motto. The three 'quarterings' of the shield represent the three wards of the new borough, namely Hanley, Shelton and Etruria. The first division represents Hanley and has six alternate bands of gold and ermine, surmounted by three ewers. The background for this division was from the arms of the Bagnall family who in late medieval times were the Lords of Hanley. In the Bagnall arms a rampant lion was placed over the bands, however on the Hanley arms the three ewers were substituted to represent the pottery industry. 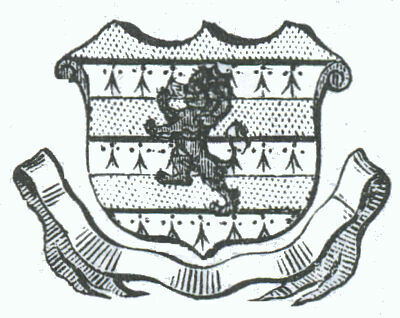 The second division represents Shelton and is taken from the arms of the poet, Elijah Fenton, who was born at Shelton Old Manor. 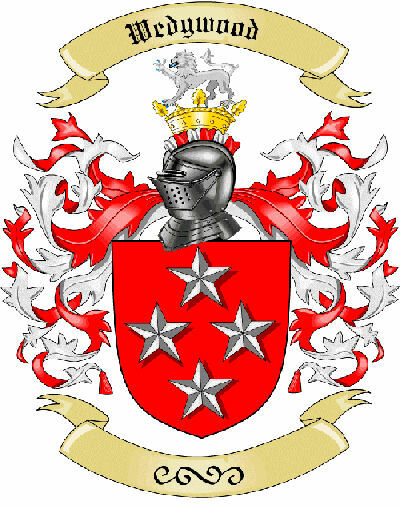 The arms of the Fentons included a cross of ermine between four fleur-de-lys. In the new arms of Hanley these were replaced by four flaming furnaces, representing the blast furnaces of Shelton Iron Works. In the third division (the chevron) relates to Etruria and the four stars are from the arms of Wedgwood - the founder of Etruria. 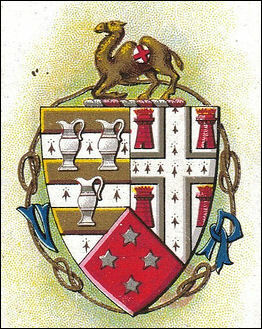 Above the shield is crest of the Ridgway family - a rising camel charged with the cross of St. George - in honour of John Ridgway, the first mayor of the newly created borough of Hanley. Around the whole is a cord tied in four places with Stafford knots. The helm on the Hanley County Borough Arms is the Dromedary camel, this was from the Crest of the Ridgway Family. 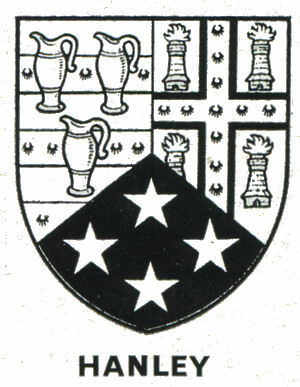 The Wedgwood arms contributed the four stars - to represent Etruria, the village that he founded. The first quarter of the Hanley arms consists of six alternate bands of gold and ermine, surmounted by three ewers. The background for this division was from the arms of the Bagnall family who in late medieval times were the Lords of Hanley. The dromedary camel from the Ridgway family was incorporated in the second quarter of the city arms.